The best cocktail meatballs ever! 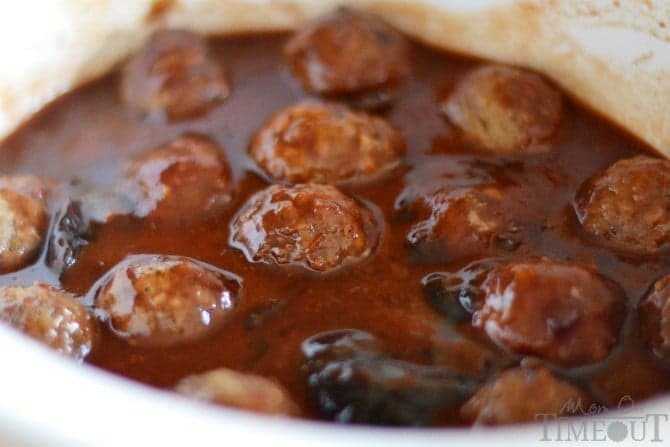 These Slow Cooker Cocktail Meatballs are made with just three ingredients! Guaranteed to be a hit at your next party! I’m sure it’s not news to you by now that I’m obsessed with my slow cooker. 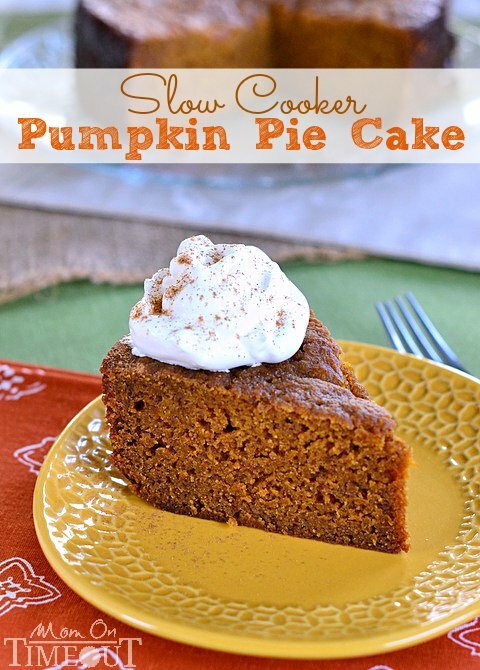 I love LOVE how much easier it makes my life and my family loves the meals I can cook in it. 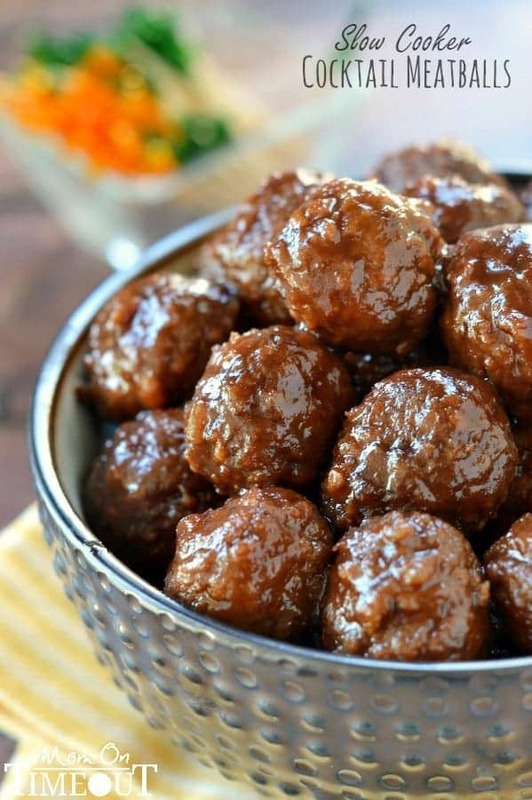 Today I’m sharing one of my Grandma’s recipes for cocktail meatballs. 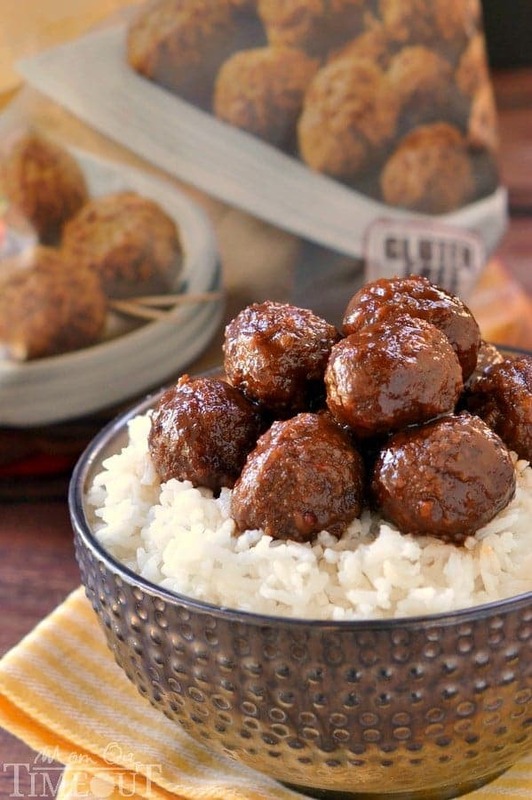 I simply made it easier using my slow cooker and frozen Casa Di Bertacchi meatballs – a new family favorite. 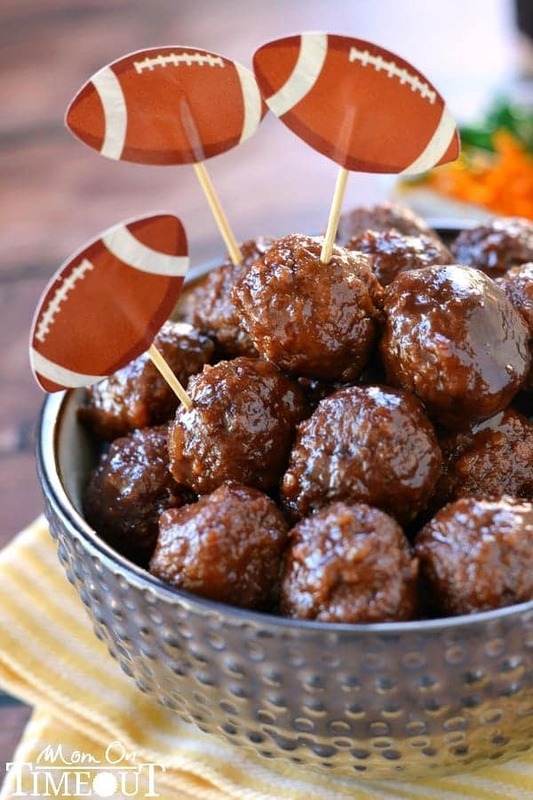 These meatballs make great game-watching fare. 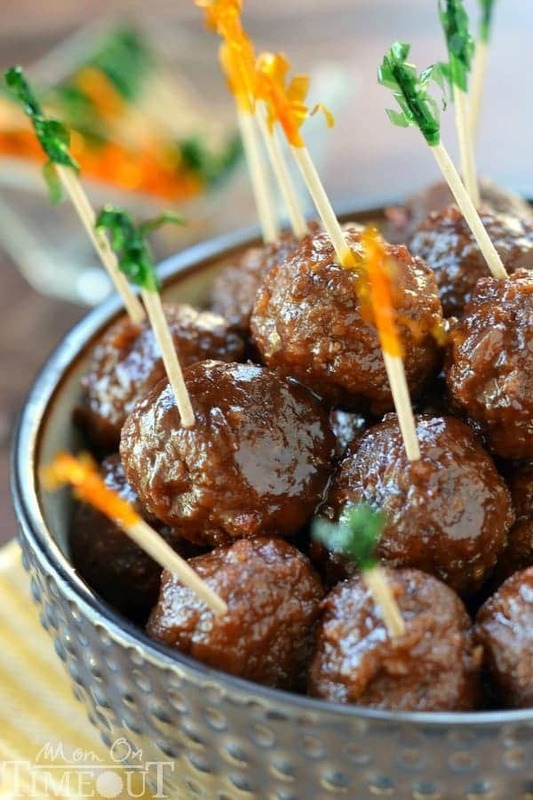 Just pop some toothpicks in the meatballs or leave them in the slow cooker and let your guests grab their own when hunger strikes. Meatballs are one of my freezer staples. I always, always have a big bag on hand. There is just so many things you can do with them, spaghetti and meatballs, meatballs sub sandwiches, meatball lasagna – and now I’m getting hungry! We enjoyed these cocktail meatballs over rice and boy oh boy did the boys love it! Cover with chili sauce and grape jelly. Cook on low for 4-6 hours or high for 2-3 hours or until meatballs are heated through. 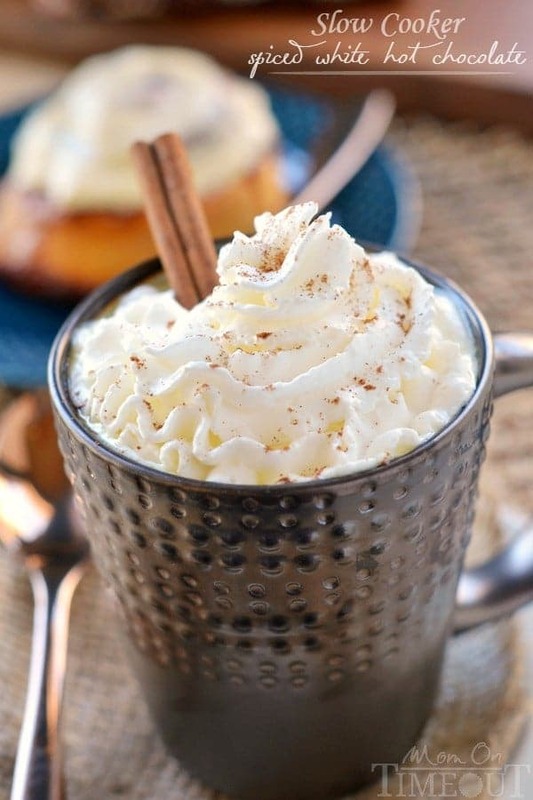 Linking up at some of these parties.Disclosure: Thanks to Casa Di Bertacchi for sponsoring this post and inspiring this delicious recipe! As always, all opinions are my own! What type of chili sauce do you use? I had a boss that used catsup instead of chili sauce and that version was good, but I like spicy so I think I will like this version better. Thank you. YUMMY! Cant wait to try. Do you think the kielbasa would be good in this recipe? Or should I combine meatballs and kielbasa in the kielbasa slow cooker recipe? How large is your crockpot? The recipe says 40 meatballs, but I’m wondering how many more could fit in a large crockpot (like 6-7 quarts). 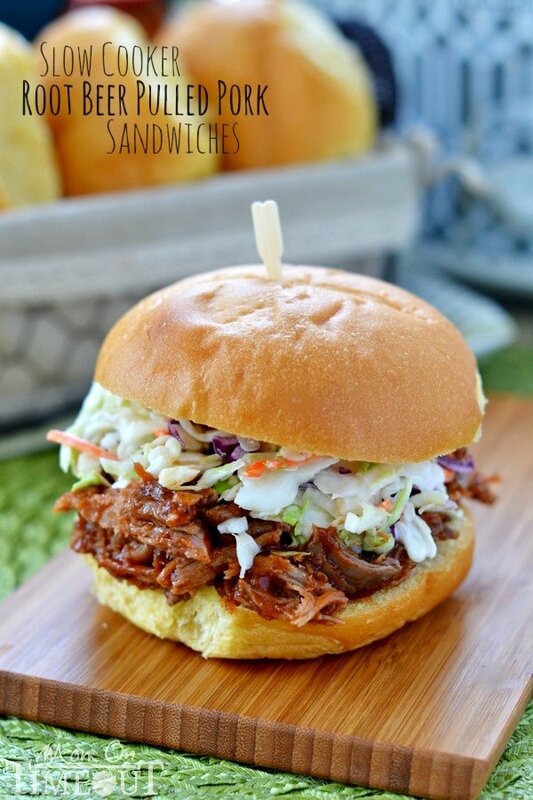 I used a 5 qt slow cooker for this recipe, so you could definitely fit more in a larger crockpot. Just make sure to add more of the other ingredients too.